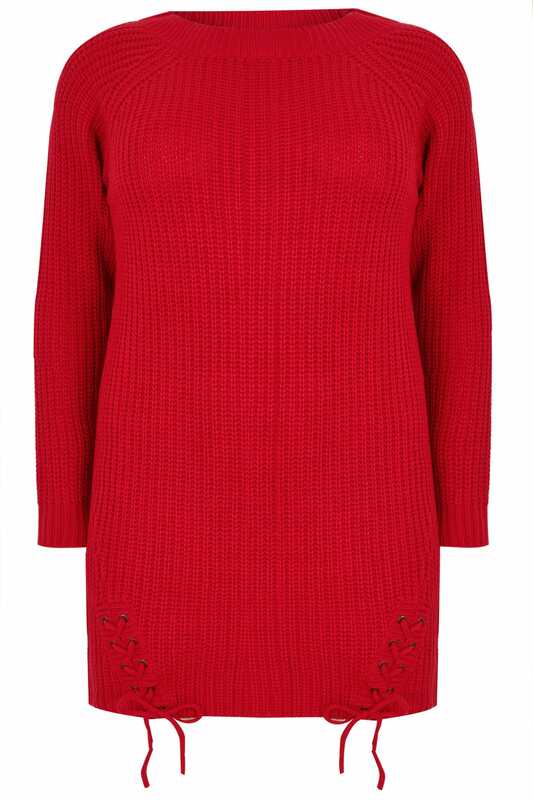 Made from a chunky knitted fabric, this stylish jumper is designed to give a longline fit with a lace-up hem. Ideal for the the cooler weather, it's a great layering piece for this season. Team with skinny jeans and ankle boots to complete the look. We love the lace up hem detail!